Will A Titanic Return to the High Seas? There have been at least two serious plans over the years to rebuild the infamous luxury liner Titanic which sank on its maiden voyage after striking an iceberg in the North Atlantic and taking over 1,500 passengers and crew members to the bottom with it. Indeed, movies and books have been produced about that 1912 disaster on the high seas. The wreck has been located and various things, including dishes, personal articles and parts of the ship itself have been brought to the surface for exhibit in nautical museums. While there have been ship disasters claiming as many and even more lives, the Titanic disaster has remained indelible among all of the nautical stories of the sea. It should be of no surprise that investors over the years have explored the possibility of building an exact replica of the Titanic, naming it Titanic II, and turning it into a floating pleasure palace for the rich and famous. The first widely publicized Titanic project was proposed by Sarel Gous, a South African businessman, in 1998 right after the James Cameron film emerged from Hollywood in 1997. The story was revealed by Popular Mechanics magazine and created a sensation. But that version of Titanic was never built. Now Clive Palmer, a noted Australian milti-millionaire businessman, former politician, and owner of the publication Mineralogy, is attempting to reconstruct the Titanic. In 2012 Palmer announced his ambitious plan to build and launch Titanic II, hired Finnish consortium Deltamarin to design a modern version of Titanic that would meet contemporary marine standards but still retain the appearance and glamour of the original Titanic, began to establish plans to make Titanic II the flagship of a new Blue Star Line of cruise ships and began seeking investors. The Titanic II was to be the first major passenger ship to be constructed in China. The state-owned CSC Jinling shipyard was preparing to build the vessel. If it is built there, the 883-foot-long ship would be the largest side-launched vessel in history. Just to build this ship the shipyard was preparing a significant expansion. The project was estimated to cost about $600 million. The original estimated launch date was supposed to be sometime in 2016 but that date has come and passed. In the meantime, apparently for lack of interest by investors, Deltamarin has stopped work on the project, and everything is now in limbo. Yet the eccentric Palmer says he is not giving up. He says he plans to pick up on the Titanic project after he retires from all of his other interests. He once joked that he also needs to get permission from his wife. Ironically because of the original Titanic disaster, and a few horrors to follow, modern safety and design requirements for ships have changed a lot. Consequently Titanic II will have a welded hull instead of a riveted one. Instead of steam engines fired by coal it will have a diesel-electric propulsion system. There will be stabilizers and all of the high-tech navigational equipment of modern ships at sea. The cabins for up to 2,600 passengers will be modernized as well, offering all of the comforts of a modern hotel at sea. To provide enough lifeboats for all those passengers the actual design of the superstructure has to be altered. Once launched and floated, nautical historians will notice a slight difference in the appearance. That will also include the actual hull design which will have a more rounded bow and wider girth to give the ship more stability in rough seas. Wooden walls and the carved ornamental staircase will be replaced by vinyl and plastic fireproof material. 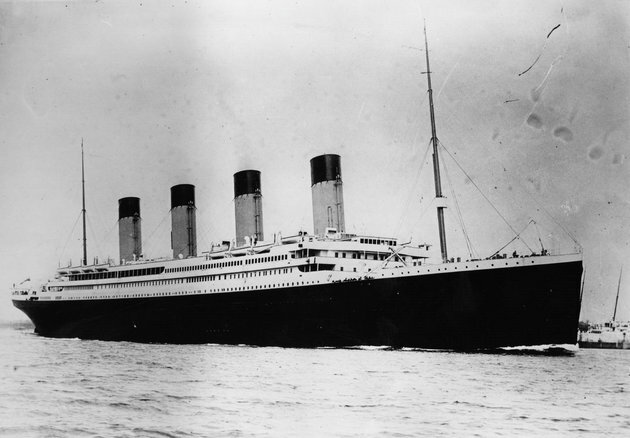 But Palmer insists that passengers who board Titanic II will have nearly the same sensation of going aboard the original Titanic of 1912 when it left Southampton for that fateful trip across the North Atlantic. Except this time there will be no icebergs. The ship will be equipped with the latest sonar equipment to make sure of that. Also the maiden voyage for Titanic II will be from Jiangsu in East China, to Dubai. No icebergs expected on that route. So will Palmer get permission from his wife to proceed with construction of Titanic II? Nobody knows. But for now, the whole project is resting dead in the water. But wait. An all-Chinese replica of the original Titanic is already under construction by Seven Star Energy Investment. When completed sometime in 2018, this ship will be floated on the River Qi in Sichuan. It will not be powered, but rather open to the public as a fine hotel and restaurant. So tourists going to China in the future will have access to actually board a floating replica of the old White Star Line’s Titanic after all.